What’s with the Buzz Cut? I get the giggles each time someone gives me “the look,” which I define as the brief, deer-in-the-headlights stare when they meet me, look at my hair and pause for a moment before they stammer out something, sometimes something really amusing. I forget that my hair can cause such reaction. 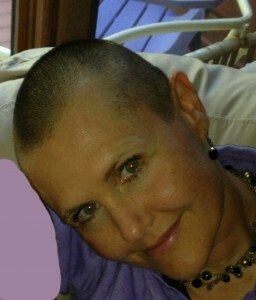 time that my hairstyle is a choice and not a result of chemo. But his smooth head is the result of chemo and he may think no sane person (especially a woman) would willingly have a nearly shaved head. Fair enough, and he always inquires with concern. Not everyone does. Old men have asked to rub my head for luck when I lived in Vegas. Kids like to rub it for the fun factor. I get sly smiles from men who seem to think I walk on the wild side, and bewildered looks from the women on their arms as if trying to figure out how to categorized me. The most scathing looks have come with assumptions that I am a making a political statement and that my cultural rebellion put their privilege in the crosshairs. I’ve had comments accusing me of being an anarchist, a socialist and a militant lesbian. They all make me crack up. Geez, people, it’s just hair! Why does it have to mean something? What gives me the giggles is that no matter the reaction, it has nothing to do with me. It’s the other person getting naked and publicly flashing the fears and desires that they normally hide—even from themselves. And wow, what people hide from themselves! Hidden belief-systems have fascinated me my whole life—how we get them, how they rule our lives conscious and subconsciously, and how we transcend them. Inspiring people to transcend their belief systems is one reason I keep my hair this way. A funny thing happened after I grew into the swagger, however. Women who were facing chemo started coming up to me and saying I inspired them to embrace the hair loss in their future—and many even shaved their heads beforehand to strut their swagger before they were forced to. Women who had lost their hair to chemo told me they were tossing out their various head coverings and going beautifully bald. Women who just wanted to step into their inner bravado started telling me that that I inspired them to do that—some by shaving their heads and some just absorbing the energy they projected onto me and then integrating it into their life. This happens so often that my hairstyle seems too much of a public service to grow out. Why Do I Cut It This Way? It was sort of an accident the first time. My husband and I were traveling in India, Sri Lanka & Nepal for about eight months. During most of that time I got my (short, but not buzzed) hair cut by Indian barbers. Haircut days were always an event. As soon as I asked for a cut, the barber called out and all the village children would show up and watch and giggle and point during the process. It was fun all the way around and always put a smile on my face. I was pretty shaggy by the time we were in Calcutta. We had ended up in a Muslim part of the city and the barbers there wouldn’t even let me into the shop much less cut my hair. So I went to a woman’s salon. But Indian women have long, flowing, beautiful locks, not short spiky hair. Three different women worked on it and they butchered it. I had two inches of hair and a quarter inch of hair in patches all over my head. It was a mess—and I was a wreck. I threw the money for the cut on the counter and ran back to the hotel in tears. Ever the pragmatist, my husband said that the only way to salvage it was to shave it off and he handed me his razor. That only made me cry harder. I never thought about being attached to my hair—it was one of those hidden attachments that only came to light under duress. The tears lasted about an hour, while I worked through the shock of the haircut, the shock of my attachment to hair, and the options I had (all of which made me cry.) I came to the same conclusion that my husband did, and so after he cut it all really short, I shaved it. I’ll tell you right now that unless you are bald from chemo or some other way that eliminates hair entirely, shaving your head is impractical. With dark hair, you have to get it totally uniform (nearly impossible with a razor) or you get stripes over your head like a deranged five o’clock shadow. And with just a tiny bit of regrowth, my head was like velcro on the pillow at night, scraping over the fabric and waking me up as I rolled over. But it was still cool—and easy, once I grew it out to about 1/8 inch. I kept it that short when I flew home for my grandfather’s funeral. No, my family wasn’t thrilled. My mom was more “Cheshire cat grin and bear it”, but my grandmother tried (unsuccessfully) to get me to wear a wig to the funeral. We went for ice cream a few days later, the man behind the counter told me by hair was very flattering, and this same grandmother commented that he must have impaired vision. I kept it for a while, but then let it grow out when we moved to Montana in preparation for deep winter. I kept thinking longingly about it as I brushed and curled and styled. A few years later when we were in the Peace Corps, I just got tired of hair and all the trouble it was. 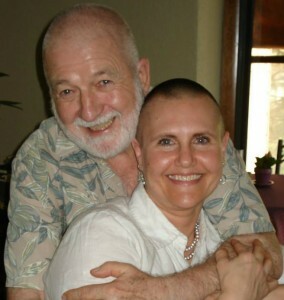 On January 1, 2000, I borrowed my husband’s beard trimmer and buzzed it off again, a la GI Jane. It’s been that way ever since. What Does It Mean, Really? To me, it’s just easy. I can go from bed to out the door in 5 minutes. I never have a bad hair day. When I get hot, I can just stick my head under a spigot and cool off. I don’t have to put chemicals on my head each day. I can wear hats without getting hat head. My shower drain never clogs from hair. There are a few drawbacks—my head can get cold, I sometimes have to wear a hat to bed, and there’s not much variety, but those pale in comparison to the ease. I’ve had it so long that it’s become my signature look. But it doesn’t “mean” anything beyond that. At least to me. But it still seems to mean a lot to other people, and since part of what I do is to help people confront their hidden fears and empower themselves by opening to their deep desires, it still seems like a public service. Plus, I admit I’ve become rather attached to it. By my way of thinking I’ll have to grow it out sometime or shave stripes into it to break the attachment…eventually. But don’t look for that anytime soon! What’s happened to you that’s shaken up your attachments or beliefs and changed your life for the better? Share in the comment thread below. 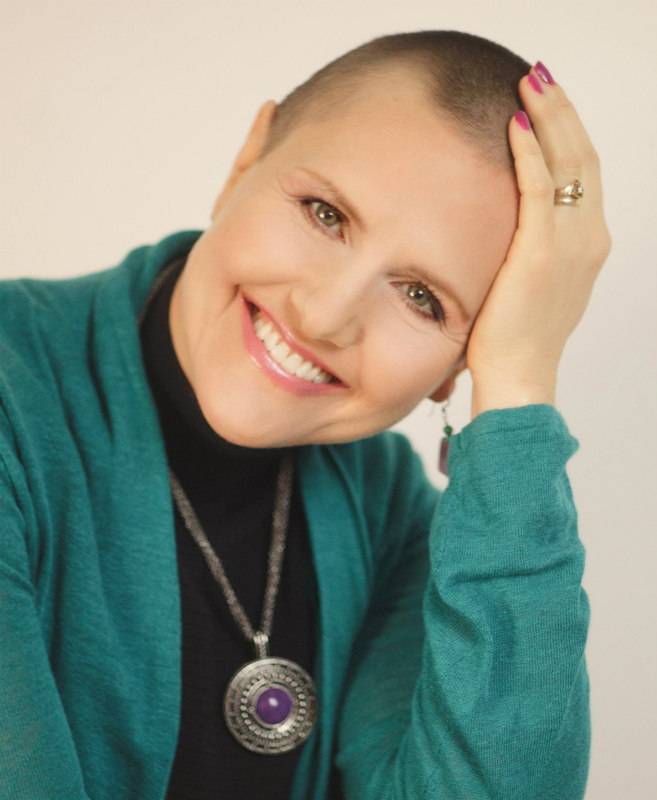 Kristine Madera is a Self-Love Mentor, Transformational Essential Oil Practitoner, Bestselling Author & Speaker who helps people cultivate self love and live from their true essence. This empowered state supports optimal health & well-being, and helps you live your full possibility because you serve others & the world from your own full cup. My girlfriend has a1/8inch buzzcut, I love it. She says she,ll never grow it any longer, and plans to shave it totally. 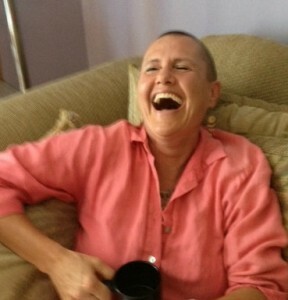 She days she will keep her head shave forever.